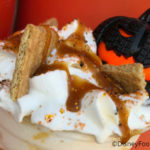 Disneyland Review: Mickey Apple Croissant Donut and Mickey Cookies and Cream Shake at Schmoozies! 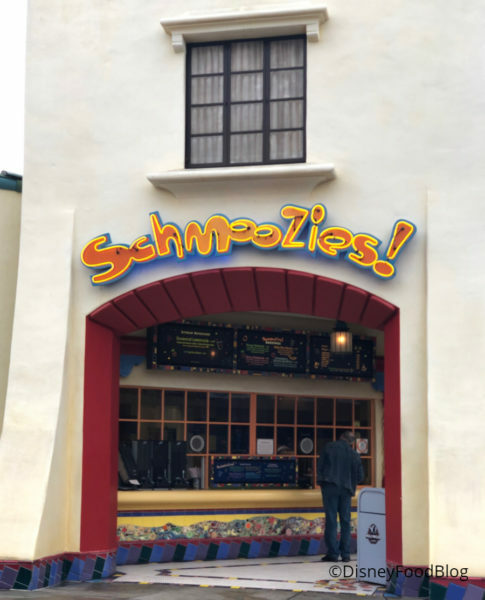 It’s time to Get Your Ears On in Disney California Adventure Park, and Schmoozies! 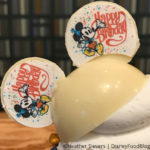 is ready to fuel the celebration with even more sweet treats! 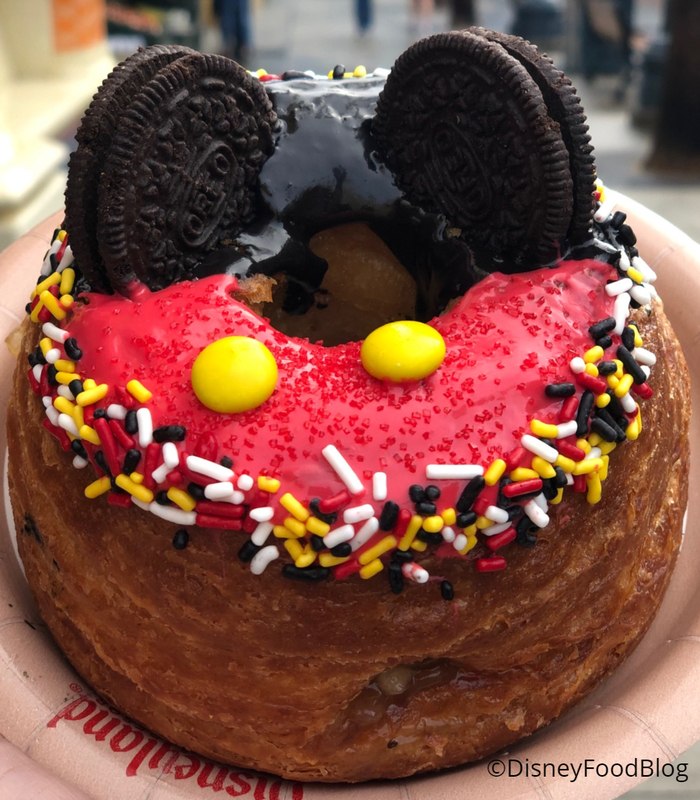 We already gave you a peek at the Minnie Cronut, and now we’re back with more! 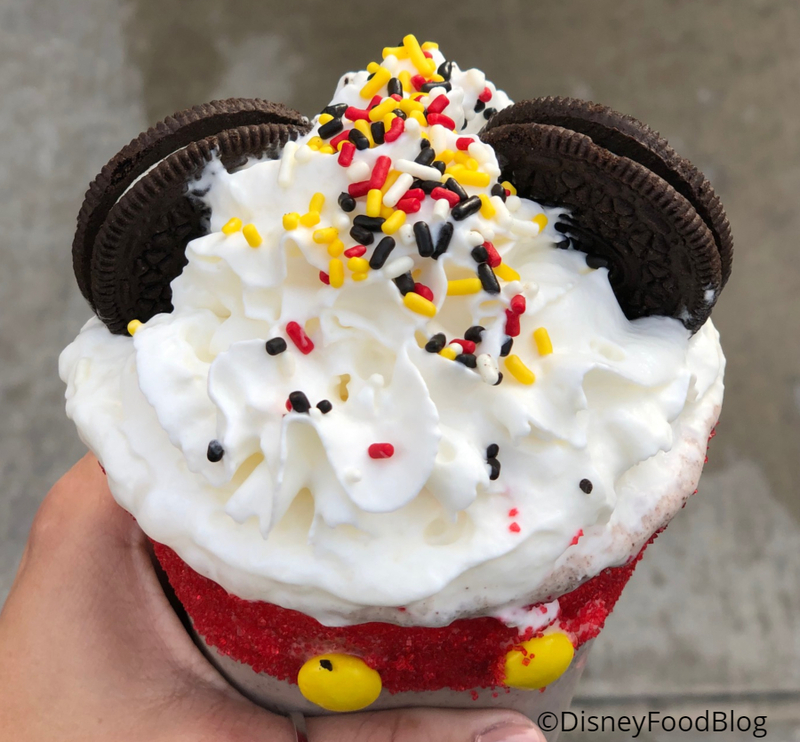 The Mickey Cookies ‘n’ Cream Shake with “90” Sprinkles is super clever. And it’s tasty, too! How much do we love the red rim and the buttons? SO. MUCH. 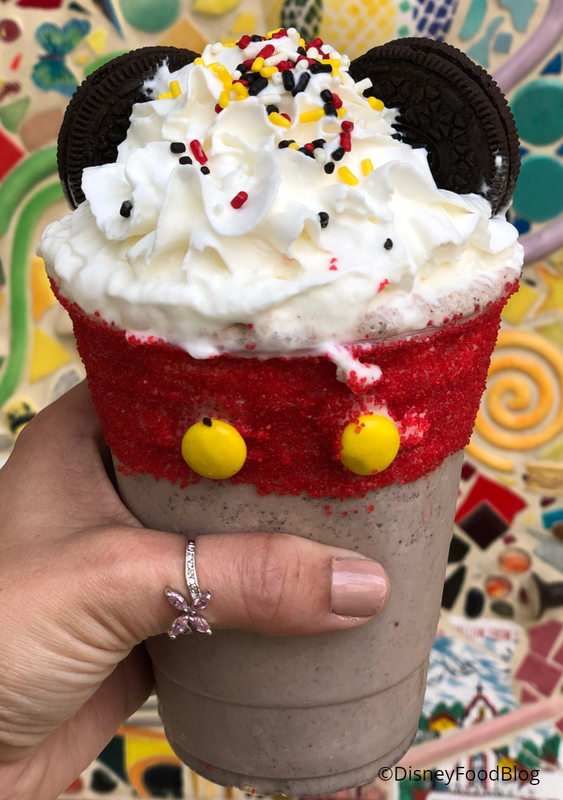 There’s plenty of stuff going on here — including those Oreo Mickey ears! — but it melted really fast, and the flavor wasn’t as dense and rich as we were hoping. It’s good, but it isn’t great. It wins a ton of points for looks, though! 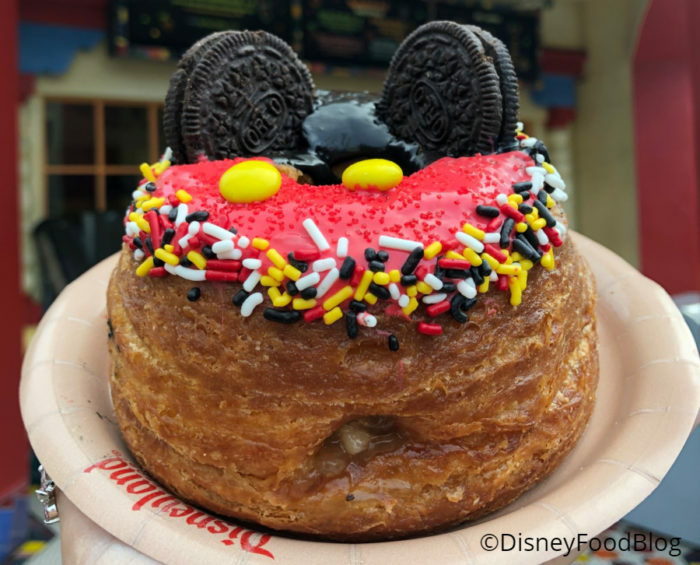 On the other hand, the Mickey Cronut is fab-u-lous! 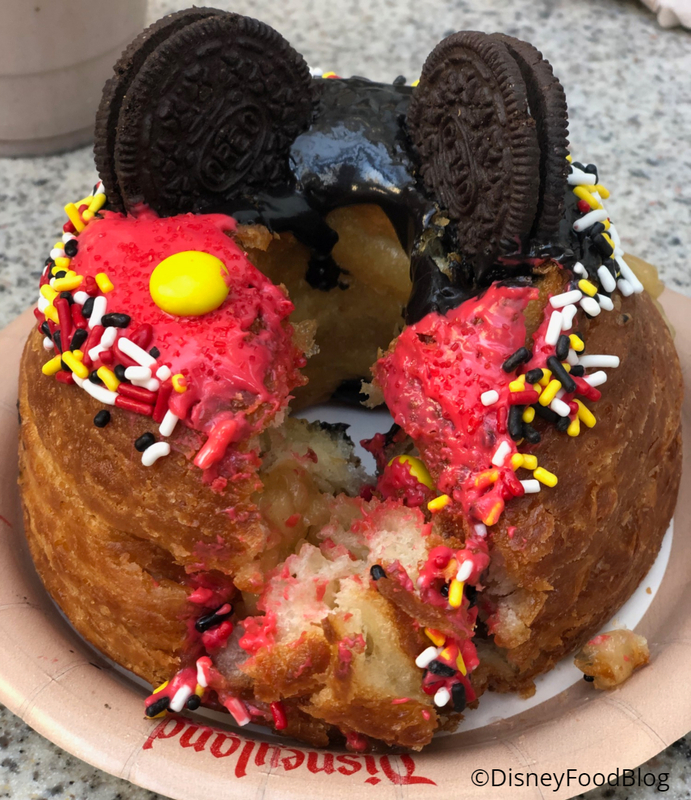 This is a massive cronut topped with bright red and black glaze, sprinkles, and Oreo ears. 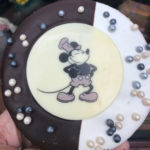 We love the simplicity of the materials and the way they totally capture Mickey’s look. Plus, they’re all sweet to contrast with the buttery cronut. At $8.99 the price is a little steep here, but the quality is great, and it’s definitely big enough to share. 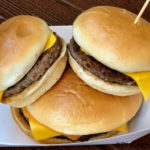 And really, isn’t Mickey worth it? 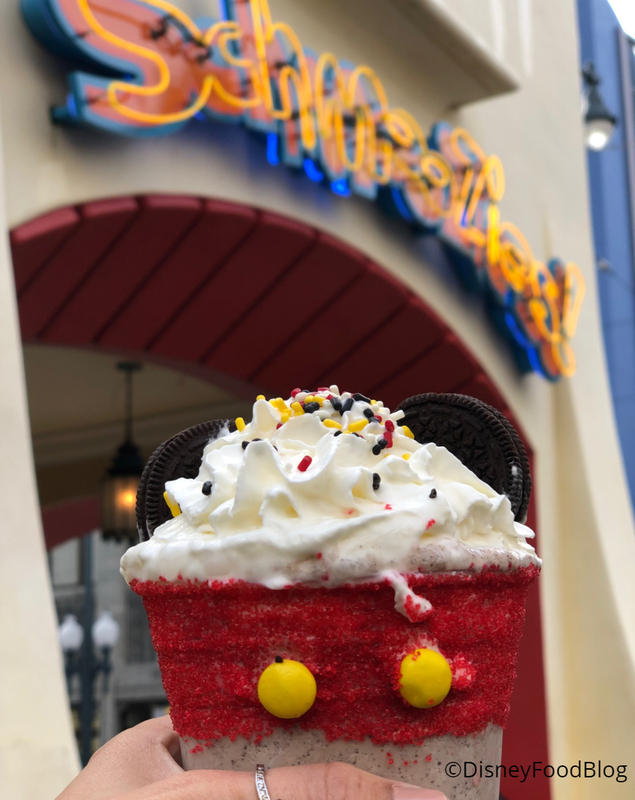 We’ve got the skinny on all of the treats coming to Disneyland Resort to Get Your Ears On. Check out our preview here! 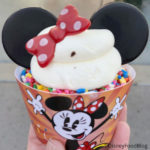 Do you want to dig into these treats? Tell us which one you love! It would be nice to be able to print some of these reviews for future planning with the family. Nice you can pin it on Pinterest for future trips… really hope they keep the Cronuts!! !